This Reversible quilted fabric tutorial shows you how to make your own reversible quilted fabric that you can use when sewing a tablet or laptop cover. 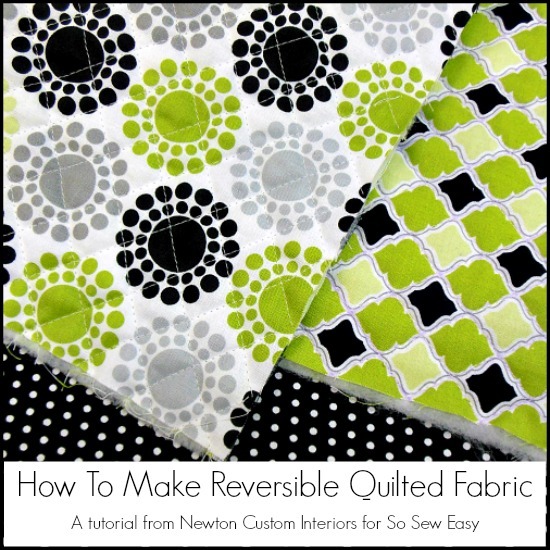 The reversible quilted fabric is two fabrics that have a layer of batting between them, and then they are quilted together. This kind of fabric is great for bags, like my tablet cover, because you can have two fabrics – one for the outside and one for the inside of the bag, and the quilting keeps all of the layers from shifting.